The original was born in the '50s and produced the sound of bass. On the road, the more you punished a Precision, the more it gave back a virtually indestructible bass that took a beating and laughed while it asked for more, becoming even cooler-looking and more comfortable-feeling than when it was brand-new. 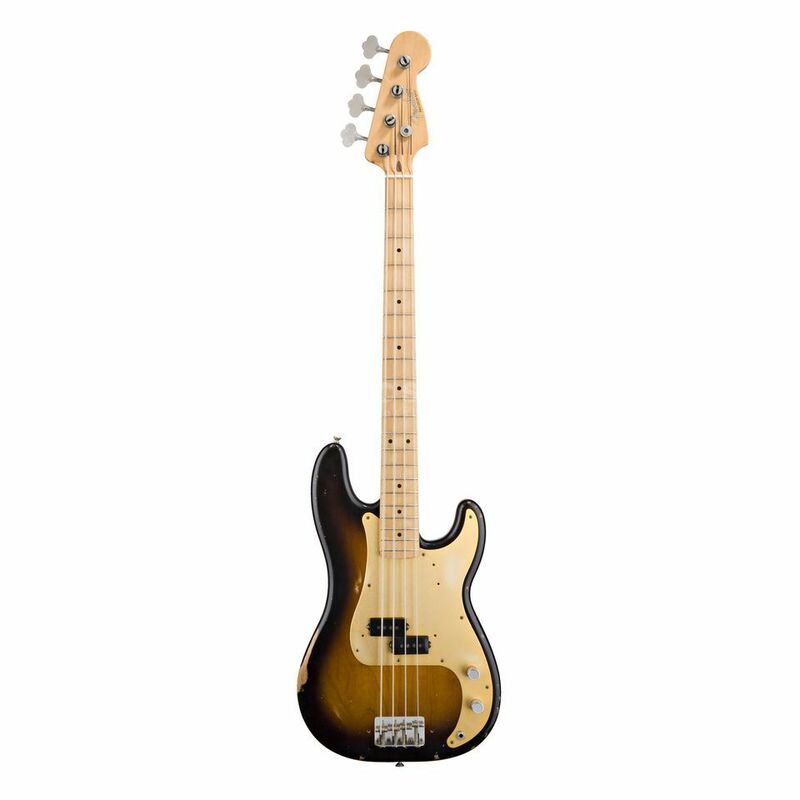 Fender's new Road Worn '50s Precision Bass guitar delivers that aged look and feel designed with 1950s specs, including a nitrocellulose-lacquer finish, and built to look, sound and feel like it's got more than just a few miles on it. !!! 30 days Money Back guarrantee !! !